(Newser) – Authorities believe up to half a dozen bodies of missing girls could be buried in a wooded area northeast of Detroit. Warren Police Commissioner Bill Dwyer tells WJBK-TV that officers are excavating Tuesday at the site in Macomb Township for the remains of 12-year-old Kimberly King, who last was seen in 1979. Dwyer says police believe "there's maybe four to six other girls that have been reported missing that are buried there" and that police "certainly are convinced we have the right area." Kimberly lived in the Detroit suburb of Warren as did 13-year-old Cindy Zarzycki, who disappeared in 1986 after being lured to a Dairy Queen, reports the AP. 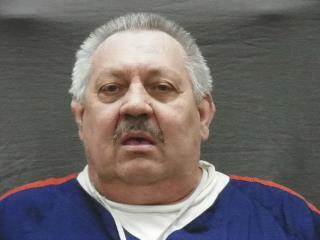 In 2008, Arthur Ream led police to the area and Cindy's remains. The teen had been dating Ream's son at the time of her disappearance. Ream was convicted of her murder and is serving life in prison. The Macomb Daily provides more specifics on some of the missing girls: a 15-year-old who vanished in 1981 and a 17-year-old last seen at Twelve Oaks Mall in Novi a year later. It reports authorities zeroed in on the area after recently resurrecting cold case files. Dwyer on Tuesday referred to Ream as a "person of interest" in the girls' disappearances, though he has not been charged. Authorities say they believe any bodies they find were all put there by the same killer. But WJBK-TV adds one wrinkle: It cites Michigan Department of Correction records that say Ream was in prison at the time of Kimberly's disappearance. That guy looks like death would be a sweet release. "It cites Michigan Department of Correction records that say Ream was in prison at the time of Kimberly's disappearance." Yeah, it's a little hard to murder a 12 year old girl when you're in prison unless they give you a weekend pass or something. Doubtful they were handing out weekend passes to convicted child molesters. Being in jail doesn't eliminate the possibility of potential involvement.